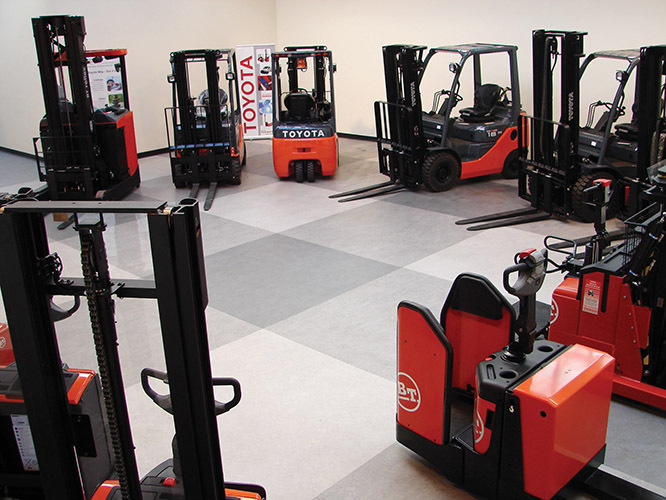 Toyota Ireland was set-up by the Mahony family back in 1973 with the aim of importing and distributing Toyota vehicles and forklift trucks to the market. Irish Trucker spoke with the Toyota Material Handling Ireland’s retiring Managing Director Terry O’Reilly to learn more, as well as reflect on an excellent career with the company. These last 37 years have fairly flown past for Terry O’Reilly at Toyota Ireland and the plan now for the Dublin native is to call it a day and focus on a well-earned retirement from the motor industry. Having been promoted to the role of Managing Director of the Material Handling Company back in 1992, Terry has immersed his life in his work up until this point and can look back at a fine career with the company he thoroughly enjoyed the best part of four decades with. Toyota Ireland has firmly established the Toyota brand as a household name in this country over the past 45 years and continues to be a market leader to this day. Toyota Material Handling now brings a full range of Toyota and BT products to the market and offers its customers a one-stop shop for all their material handling needs. Customers are offered the widest product range in the business – from hand trucks, pallet trucks and reach trucks to stacker and gas to diesel and electric counterbalance trucks. All the benefits, peace of mind and value for money that Toyota provide to make it the number one seller of motor cars in Ireland are also available in its material handling range, making Toyota Material Handling Ireland the ideal partner for your business. Indeed the Toyota brand is renowned for its excellent products and Terry should know, having working with them for the best part of 40 years now. “I started in Toyota Ireland in 1981, so I’m 37 years with the company,” he said. Toyota’s success in this country has come down to a combination of excellent products and the best dealer network. Toyota Ireland has 50 trained service engineers and within the group the Toyota Dealer offers first class customer service with a quick response call out. 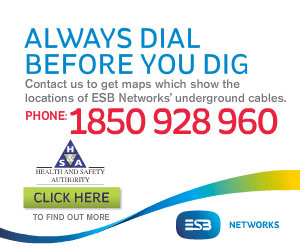 Each dealer has a hire fleet and can provide additional equipment if required at peak periods for the customer. Ensuring to offer customers the highest standard of sales and after sales is at the core of the business, going by what Terry has to say. “Toyota is one of the world’s best brand names and we are fortunate to have a great dealer network in place,” he said. “Some of our dealers have been with us over 30 years, the majority of which have been with us a long time. They have developed great relationships with their customers through lean years and good years. “We’re an Irish company and Toyota is well respected in Ireland. We’re lucky to have a sister company whose cars are seen on the road every day. Toyota cars are synonymous with reliability, durability and the best resale value in the business. At the moment, Toyota Material Handling, including its dealer network, would have over 100 people employed in the material handling business. Terry has given a lifetime’s dedication to his work with Toyota and looked back on how it all started for him on the Kileen Road, Dublin 12. “I had worked for a Dutch engineering company and prior to that I would’ve worked with Brodericks and I eventually just got hooked on Toyota,” he reflected. Terry thrived in the job to the point where he remained in it for over three-and-a-half decades, building up an excellent reputation in the process. When it comes to the Toyota brand itself, he feels that he’s worked with an excellent product throughout his career – one that customers can genuinely trust. “You definitely have peace of mind with Toyota – whether it’s buying or trading in – it’s a great product,” Terry stated. Whoever comes into Terry’s role will have big shoes to fill and he certainly leaves things in healthy state with business thriving as much as ever. So what about the plans for retirement, Terry? “I’m going to do all the things I wanted to – exercise regularly, travel and maybe learn a language. Stuff like that,” he signed off. Great to hear and best of luck in your well-earned retirement!